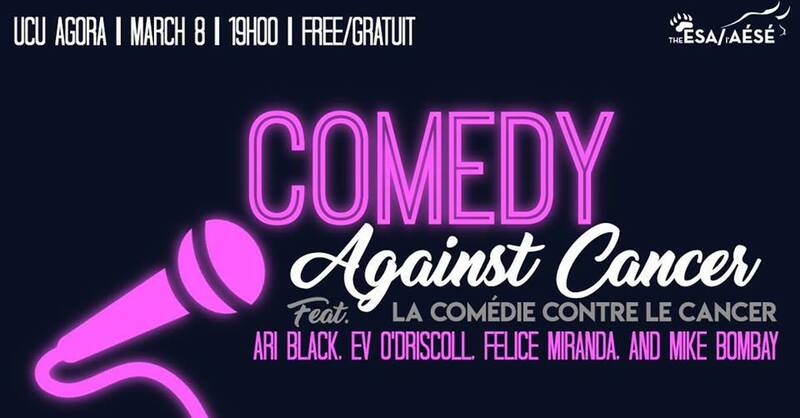 Comedy Against Cancer is a philanthropic event hosted by the ESA to raise money for the Canadian Cancer Society. Come out on Friday, March 8th at 7 PM to watch the hilarious comedians, Felice Miranda, Ari Black, Ev O’Driscoll and Mike Bombay perform! This event is free, but we will be accepting donations! It will be a great evening of fun, philanthropy, and friends! The comedy will be in English only.